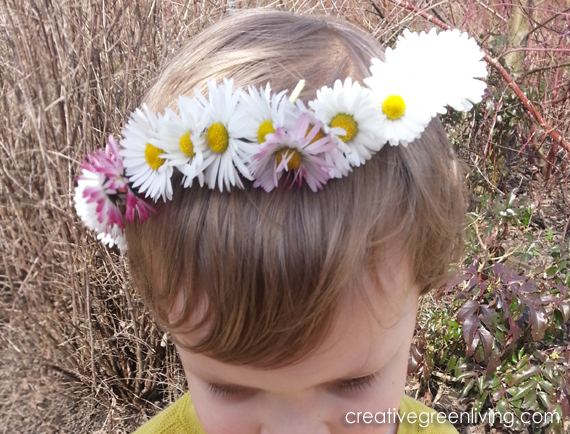 One of my favorite spring and summer time activities as a child was making flower crowns from wild flowers and the daisy "weeds" that sprout up around March or April and keep blooming through the summer. 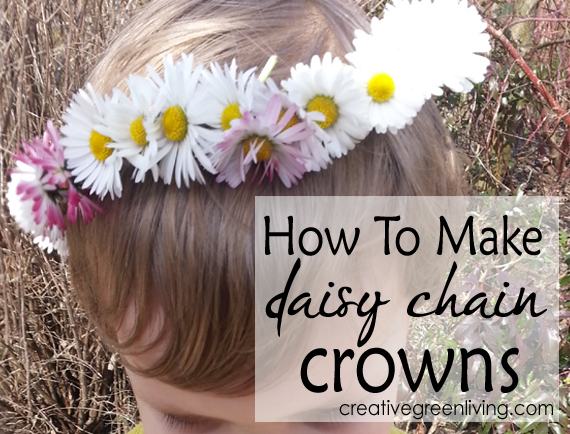 These crowns are easy to make and if you can braid, you can totally make one! 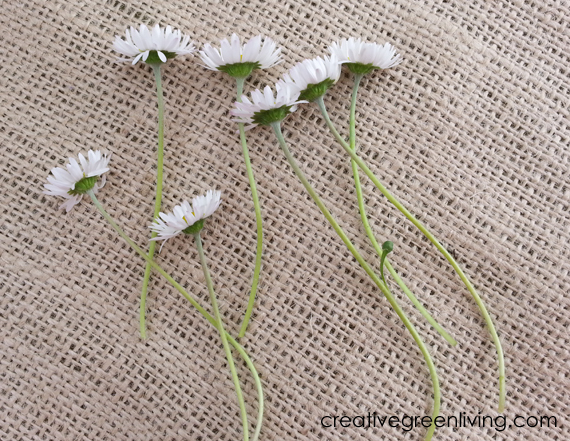 Pick an assortment of flowers with soft flexible stems. 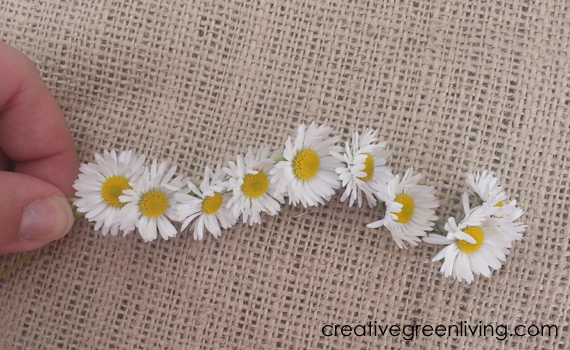 My favorite flowers to use are the daisies that grow among the grass in fields. Pick the stems as long as you can. 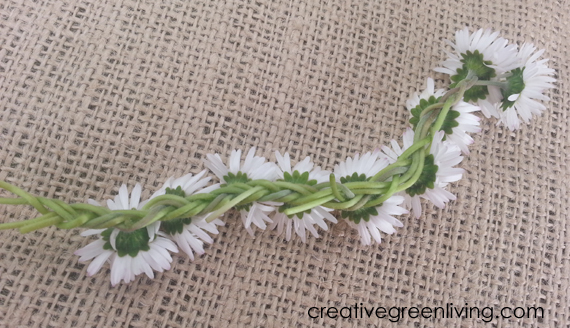 Choose three flowers with longer stems and cross their stems over each other as shown. 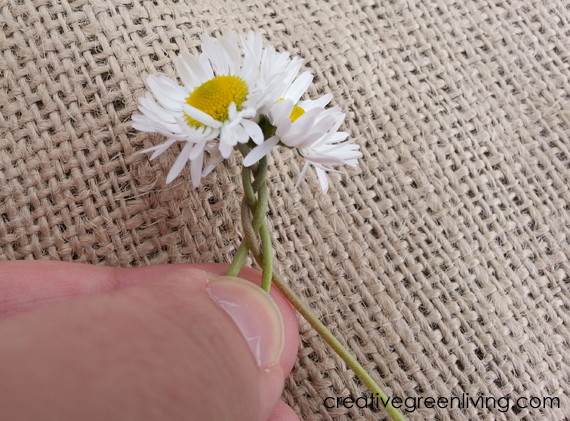 Braid the stems together by taking the stem from the outside right and placing it between the other two. Then take the stem from the outside left and placing it over the other two. Continue in this fashion for about an inch. 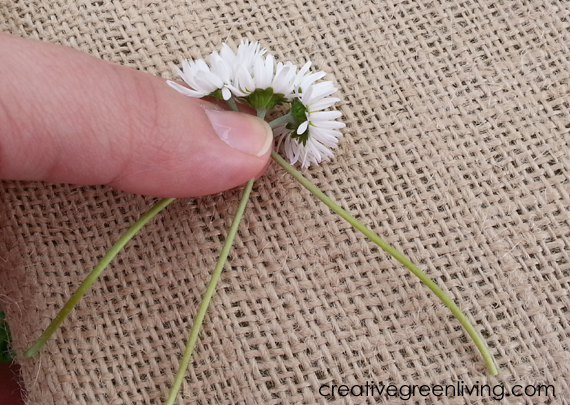 Once you've braided about an inch (or the width of a flower head, add a flower by laying a flower so the stem rests on top of the center center stem. 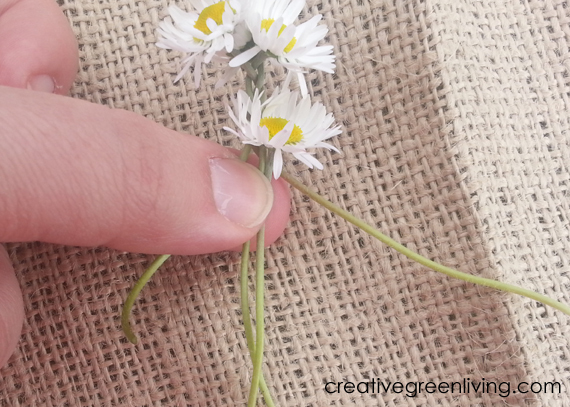 Continue braiding, holding the new flower stem together with the center stem. 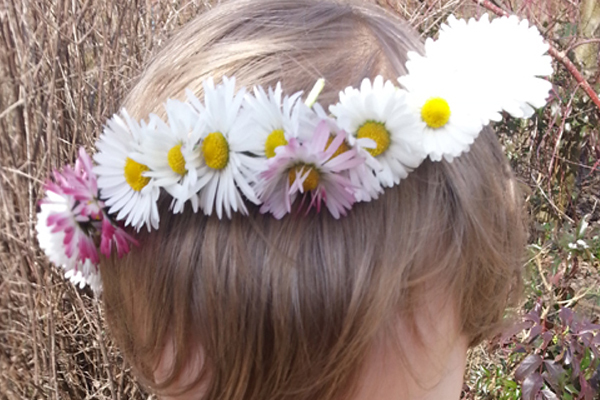 Continue braiding until you've gone about the width of a flower head, than add a flower as you did above. Continue this way until the chain is the desired size. Once your chain is the desired length, braid the remaining ends and then tuck them in near the starter head to make a crown (or bracelet! or necklace!). 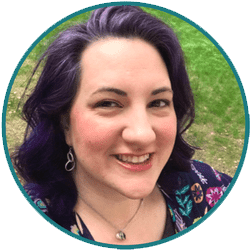 thank you for writing this! all the other ways are to far apart and don't look very nice. thanks this helped me a lot! So tick and full! Can't wait to try it.